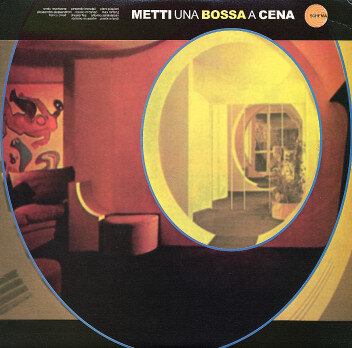 A fantastic collection of rare bossa material from Italy! The set's one of the best we've ever seen of this type, and it's a completely fresh batch of tunes that breaks past a lot of the other Italian compilations of recent years. Some of the artists are familiar names – like Morricone, Piccioni, and Trovajoli – but there's plenty of other artists that we've never even heard before! A few themes are reworkings of familiar soundtrack tunes, but most of the material is original – and done with a sparkling sound that's really great! The grooves are filled with loads of tight drums, bubbling organ, jangly piano, and sweet female vocals in sort of a Morricone-ish tradition. Great stuff, and with 20 excellent tracks that include "Amori Finiti" by Giancarlo Gazzani, "Relief" by The Black Fire, "Rossana" by Armando Trovajoli, "Sometime" by A Santisteban, "Tema Di Linda" by Franco Micalizzi, "Curriculum" by Franco Chiari, "Coronado 990" by Orchestra Henry Stone, "Meditation" by Romano Mussolini, and "Warm Blood" by Tullio Gallo. © 1996-2019, Dusty Groove, Inc.